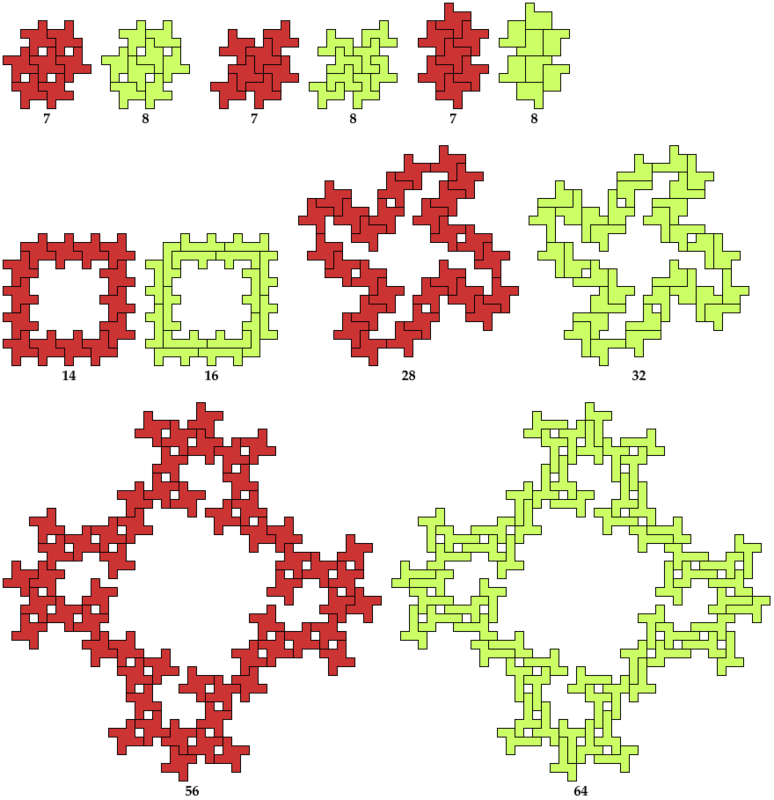 The pinwheel octomino is a polyomino made of eight squares arranged with four in a square and the other four joined at the counterclockwise ends of the square's edges. 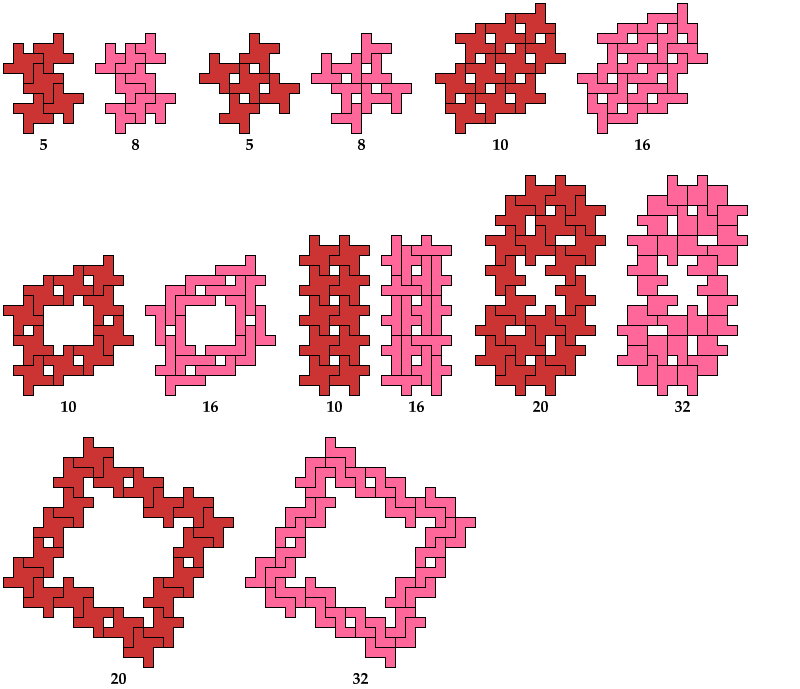 The compatibility problem is to find a figure that can be tiled with each of a set of polyforms. 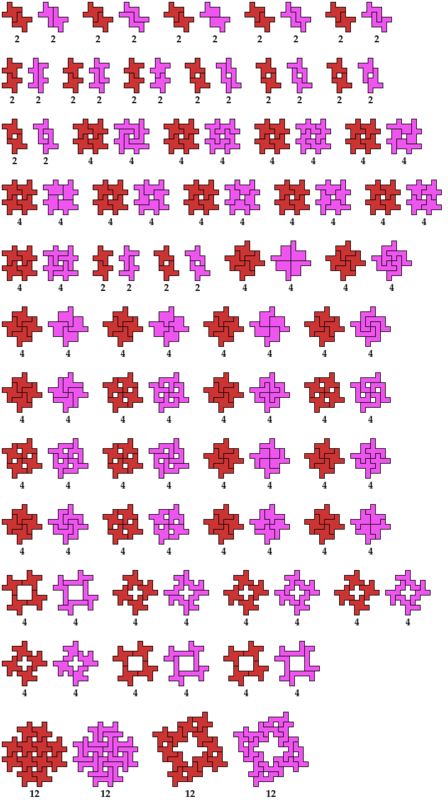 Here I show minimal known compatibility figures for the pinwheel octomino and other polyominoes. 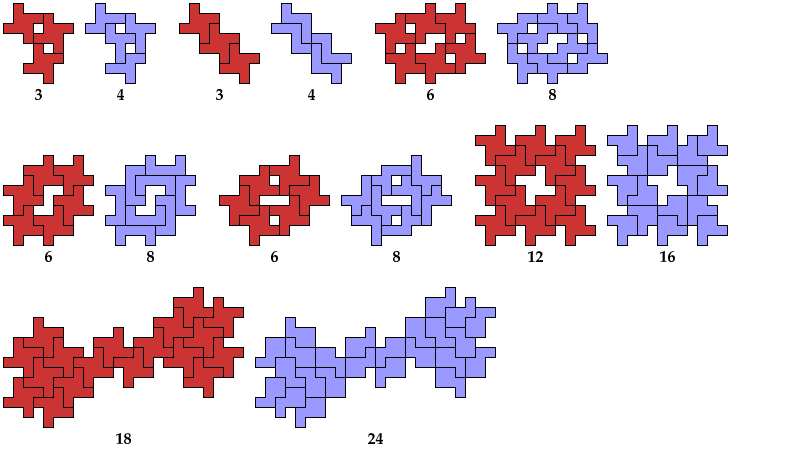 If you find a smaller solution or solve an unsolved case, please let me know.